Check your pantry! 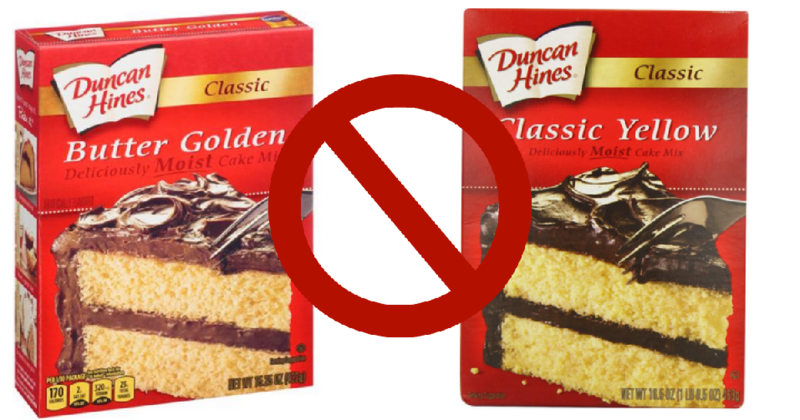 Conagra is voluntarily recalling 2.4 million boxes of their Duncan Hines Cake Mixes. The varieties included in this recall are Classic White, Classic Butter Golden, Signature Confetti and Classic Yellow flavors. This recall is due to concerns of salmonella, but you can go here to the Conagra website for full details and to see whether you have an affected product! To get your refund if you have any of the products listed, you should throw them away, return to the place of purchase or contact Conagra at 1-888-299-7646 for more information.